The potential in every person is staggering. Every day we live by limits, rules and the infamous glass ceiling. Yet, motivational speakers and preachers continue to tell us that we are limitless in our life choices, and can do or become anything we want. The catch is simply letting go of the things in our past that hold us back. The movie Limitless gets rid of the hard work of diving deep into our past or focusing on our daily confessions that guide our mind into opening up greater potential. The film uses a simple clear pill to expand the capabilities of Eddie Morra (Bradley Cooper). Unfortunately, the simple answers are always temporary and hold consequences. 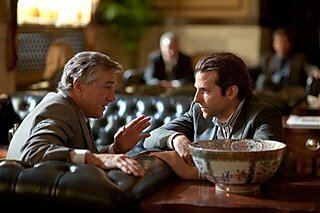 The character of Van Loon (Robert De Niro), points out that those who come into power without having some years of experience scraping to get ahead eventually make foolish mistakes that lead to their own demise. This is a kin to lottery winners that end up without assets and further in debt two years after their win. The movie took off at the box office in its opening day Friday, catching numerous theaters off guard. The theater I attended placed the film on one of its smaller screens, not expecting the packed house. Today it was moved to a larger screen to accommodate tonight’s showings. What surprised me was that the theater manager must not have realized a film about the human condition and our desire to be the best we can be would attract an audience. It made me wonder if he just comes to work and does the least to get by or if he truly tries to excel or give his best. We all know what its like for a person to live out their passion like the Michael Jordans of basketball or the Tiger Woods of golf. We also know what its like to work with a person who just punches a clock and never fully engages in moving the business forward. Not to mention those who push companies backwards. Seldom do we look at ourselves to determine what we were made for. Personal skill assessments rarely happen, as we prefer to live in denial than face the fact that we don’t meet society’s need for unattainable perfection. In fact, we might even scare ourselves during those times when we start exploring our own limits and realize that there is no glass ceiling. 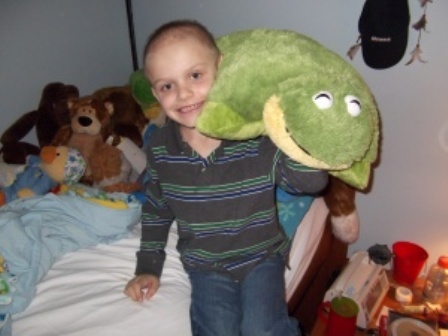 I’m always amazed to hear stories about a dying child in another state having compassion on a kid laid up in a hospital bed and giving him a pillow pet. This is especially true when others hear of it and join in donating thousands more. Clearly, he wasn’t old enough or healthy enough to know he had a glass ceiling in his life to stop such practices. It forces me to realize that the only thing I can’t do is the thing I won’t do. It’s a choice that only I can make. And, logically speaking, we all get to make this type of choice every day of our lives. It’s simple, really – We are limitless. Each of us can do whatever we want. Some will follow a heartfelt call in their lives, while others just do what feels right. And then, there will be those few that determine to do nothing – Something my personality won’t allow me. So, with your limitless abilities ready for action, I can’t help but wonder what you’ll do next. Well, except for maybe sharing with me what you plan to do in the comment section below. After all, I’d love to watch you succeed.